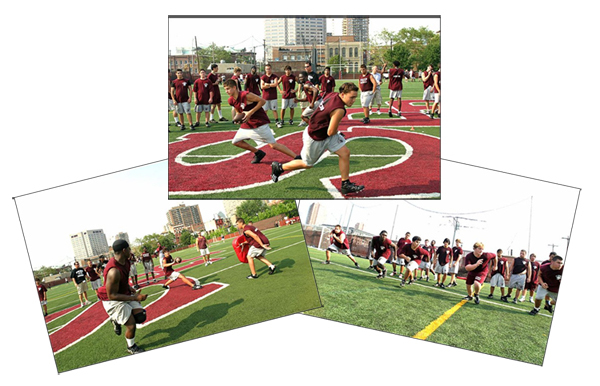 Saint Peter’s Prep Football Performance Camp will be held at Father James F. Keenan, SJ. Field on the campus of Saint Peter’s in Jersey City. The camp will take place from June 24th to June 27th and will be targeted at 6th, 7th, 8th and 9th graders. The cost per athlete is $175. The registration fee is due by June 21st. For more information please contact the Athletic Department at 201-547-6450, or email your request to Ms. Erica Abbondante, Administrative Assistant to the Athletic Director. Lastly, please add contact information and the camper’s first and last name with any checks that you mail to the school for filing reasons. New Jersey’s Only Jesuit High School. 900 Young Men from over 100 Communities in New Jersey and New York. College Preparatory curriculum with 100% College acceptance. 17 Varsity Sports and 30+ Co-curricular Clubs and Activities. Saint Peter’s Prep will leave the Hudson County Interscholastic Athletic Association (HCIAL) next season to compete in North Jersey’s new football-only “Super Conference;” Non-Public Group 4 in the NJSIAA. HCIAA-HCIAL Champions: 15th consecutive title, with a 115 game winning streak. Each player receives a camp t-shirt, skills drill booklet, nutritional guideline packet and more! Take the New Jersey Turnpike to Exit 14C. About one-half mile after the toll booth, exit at “Jersey City/Columbus Drive.” At the bottom of the ramp, go straight through the light and at the end of the next block, bear right onto Columbus Drive. Stay on Columbus Drive for approximately 7/10 of a mile to Marin Blvd. Turn right onto Marin Blvd. and follow this to Grand Street; turn left onto Grand Street. Go one block and turn right onto Van Vorst Street; entrance to the field will be one block in, on the right.